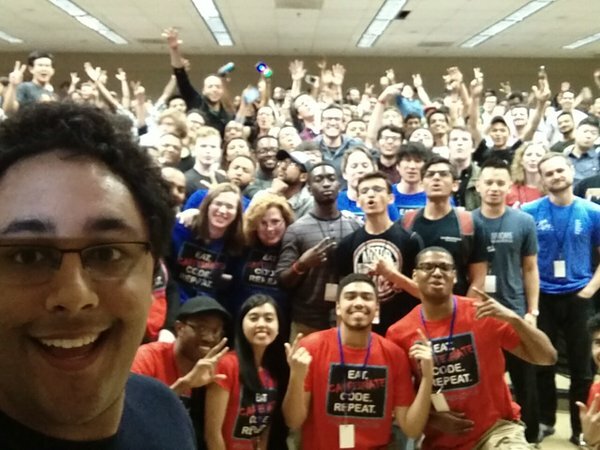 This weekend is the second Hackathon at GSU. Since I’m the faculty advisor, you can guess what I’ll be doing. A hackathon is a student-led, national and international contest, that pits teams of students against each other in a race to develop a computer application in limited time. They work with industrial sponsors to address real-world problems with state of the art technologies. I’m especially proud of our team. They are led by an adjunct professor Dr EE Durham – who just happens to have been my student (about all the credit I can claim) and have put together a well-organized event. This is the second one they’ve done. The first rocked, and this is likely to be even better. It shows GSU can do a great job when they’re given the chance!